The challenge dictates that you need to take a side dish. 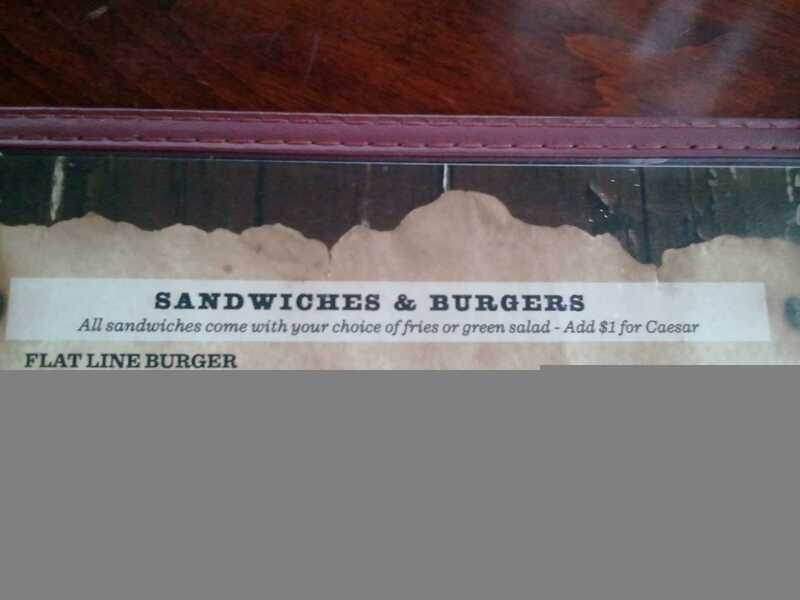 That could be their awesome hand cut fries or a garden or caesar salad. 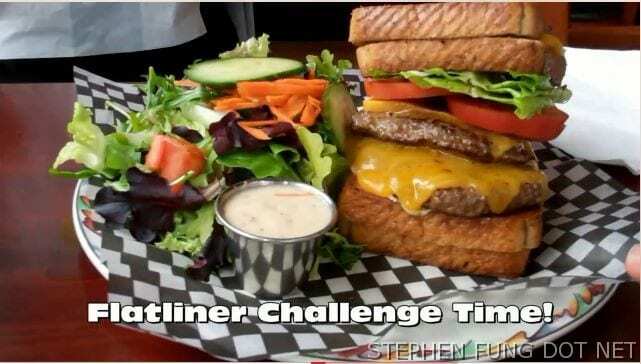 But the kicker of this challenge is time: 5 minutes is all you get to complete this meal. If you take it all down in the challenge time, you get it for free! 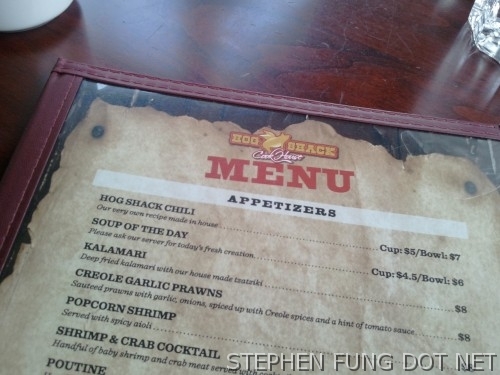 What The Hell Is a Hog Shack Cookhouse? Richmond, BC is better known locally for its mainly Chinese population, bad drivers (most of which bribed for the licenses), and some of the best Asian cuisine in North America. But just outside of the city lies the small seaside village of Steveston. Though more known for its fresh seafood, Hog Shack Cookhouse is definitely something different and something good different at that. 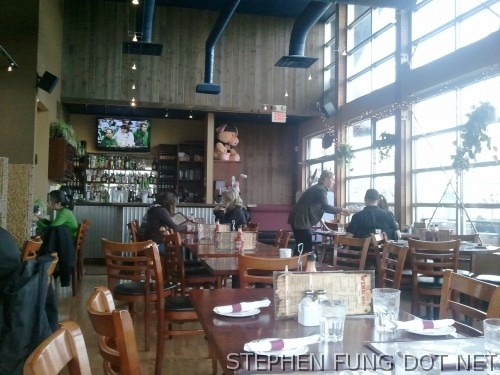 In fact, they are the first and only BBQ Cookhouse in the Steveston area. I mean, who doesn’t like BBQ? 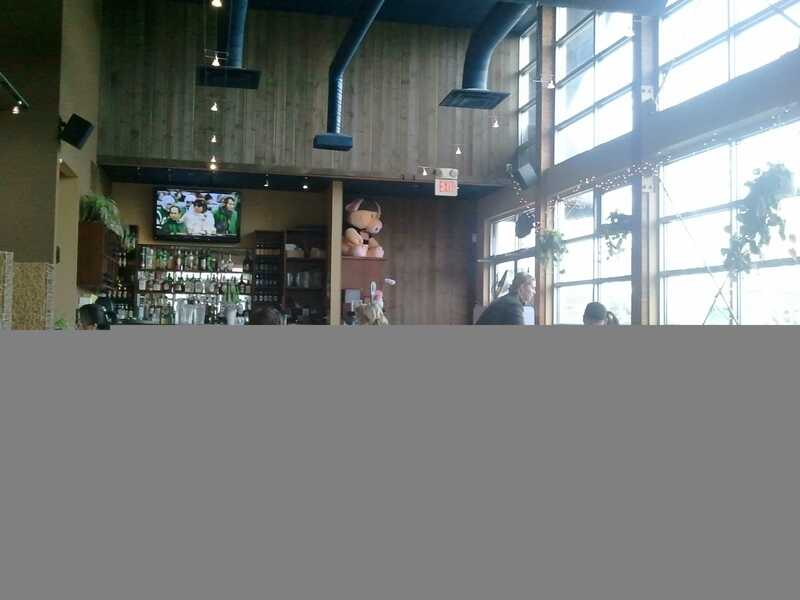 The Hog Shack sits in what used to be a Greek Restaurant known as Correlli’s. The owners bought the the place and installed cooker out back and the rest is history. But remnants of the past still remain as the original owner still works there as part of the wait staff. 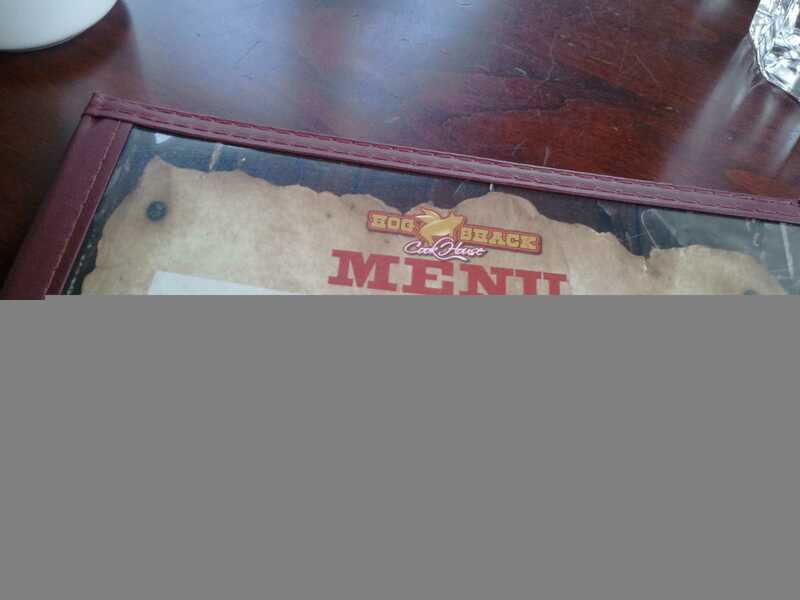 Menu wise, the Hog Shack has all the great BBQ goods like brisket, sausage, pulled pork, ribs, you name it. But they also pay homage to the excellent local seafood by including some great Southern inspired dishes as well as some great takes on classics like fish and chips. However, today we weren’t here for that because we had come to take on their Flat Line Burger Challenge! On Your Marks! Get Set… EAT! I have never been well known for speed eating contests. Having a gag reflex makes it very hard to go faster than one can chew. I guess I’ll never be good in a hot dog contest, but I can go for quantity within a reasonable time frame. 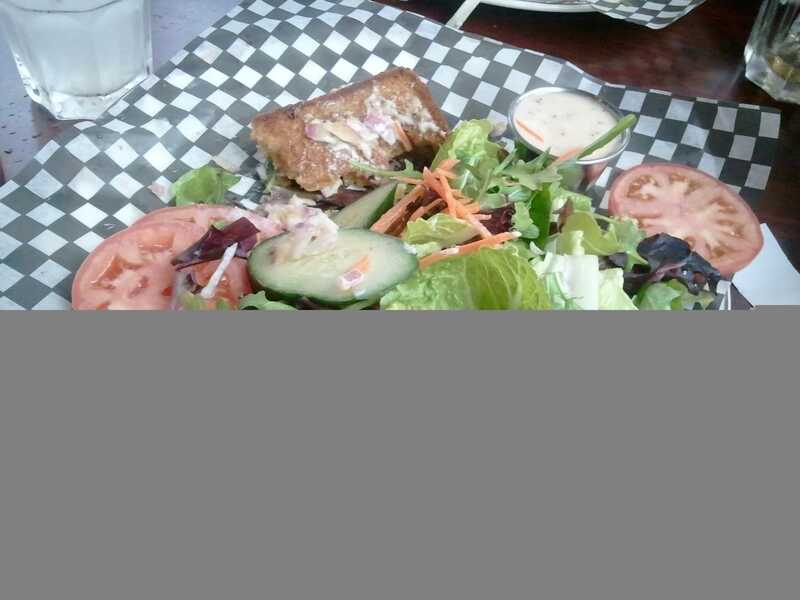 My strategy was to deconstruct the burger, going for the protein patties first, then the grill cheese, splitting them and dunking them into cold water ala Kobayashi, then gobbling up the greens as fast as I could with strategic bites in between to moisten the palette. Trying to take down the tomatoes at the beginning caused a bit of a delay and I was too exuberant with the patties, causing a backup in the pipe. 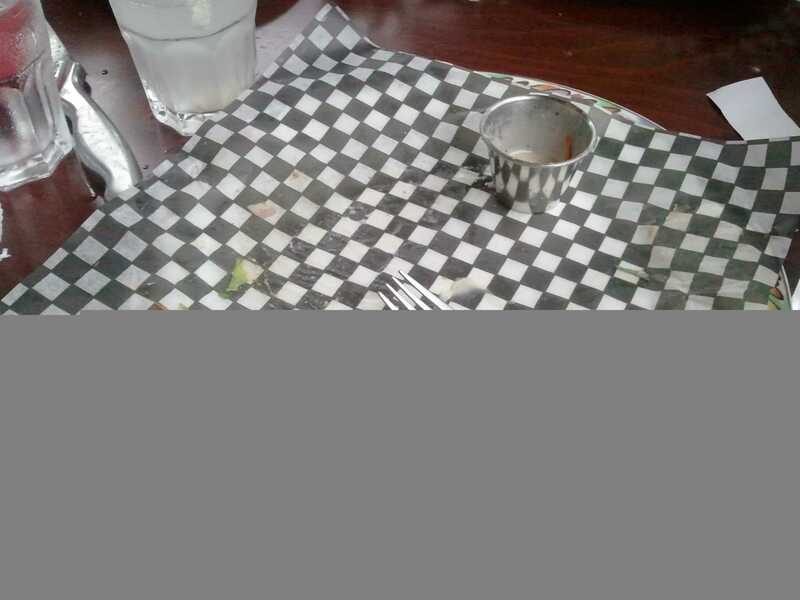 Going back and doing this all over again, I would have definitely folded the patties and left the ruffage for last. 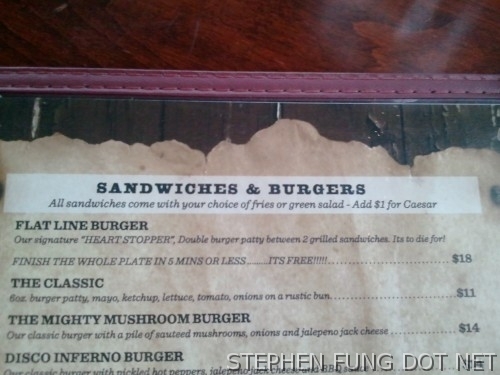 Assuming I pass the hurdle of the burger itself, I would have chosen fries instead because in terms of speed, it would have been faster to attack them versus trying to chew dry greens. Not to mention, win or lose, Fries are much tastier at the end of the day. Thanks Hog Shack Cookhouse for your encouragement. I will indeed be back to claim my place at the Flat Line Challenge 2011 Competition on Canada Day!